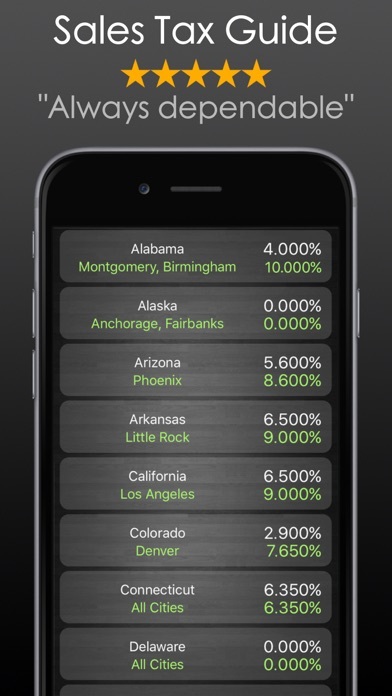 Top discount calculating app in the App Store. For super savers and super shoppers. Check it out today! 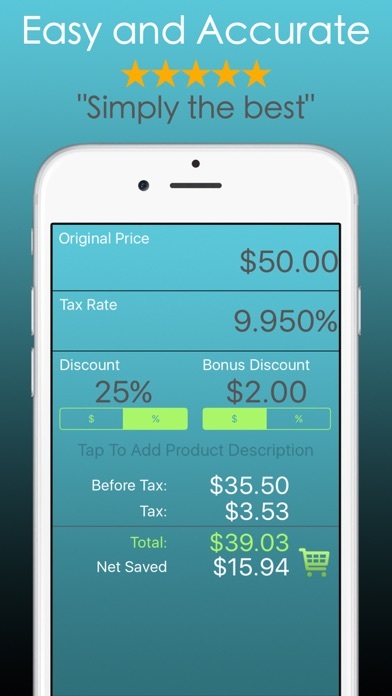 Features: • Easy to input calculator with sales and tax inputs. • Editable shopping list with export feature. 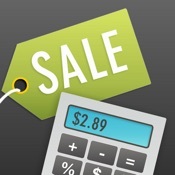 • Sales Tax reference guide (for US only). 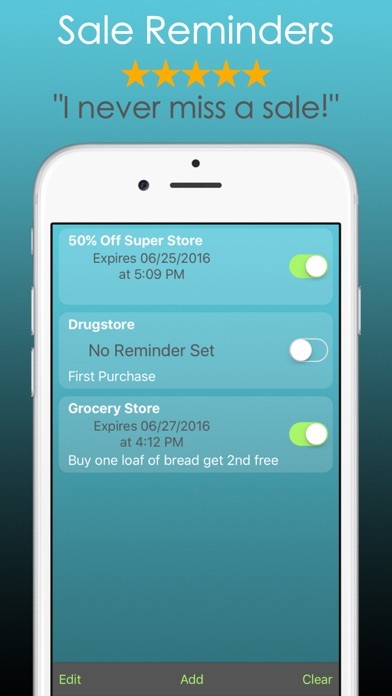 • Coupon and sales reminders with image capture. 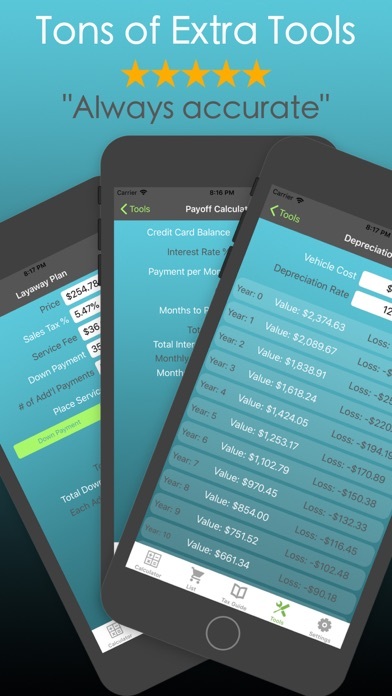 • Depreciation calculator • Credit card payoff calculator • Layaway calculator • Credit card reward calculator • Randomizer for when you can't decide if you should buy those pair of shoes • Now supports Apple Watch! Saving money is fun, but imagine this all too familiar scenario. Sales signs and store marketing that stacks discount percentages off clearance prices in a confusing mess. Long lines, impatient kids, and pushy sales people. On top of all that is you, trying to calculate in your head just how much you are saving, and if the deal is really as good as they want you to believe. Now add that to the 10 other items on your list. No worries. We got your back. 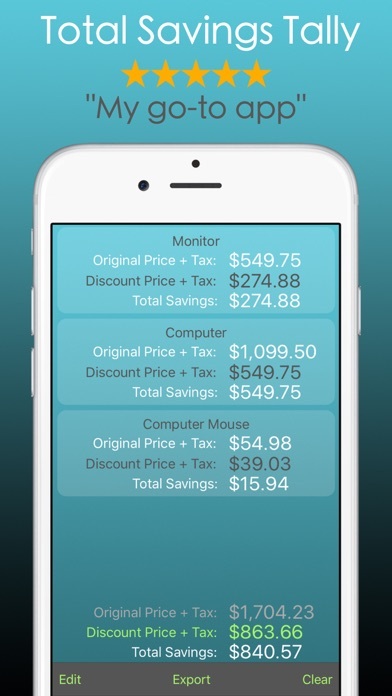 Stack those discounts, save those items to a list. Compare your estimated savings to the register to make sure they get the price right.